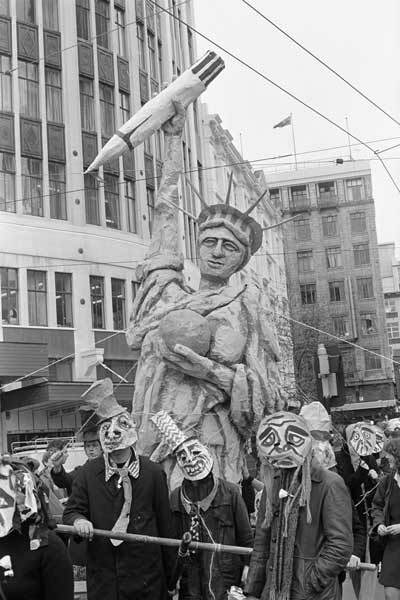 On 11 August 1983 these marchers in Wellington demonstrated against the visit of USS Texas to the city's port. The protesters carried a model of the Statue of Liberty wielding an atomic weapon. The growing anti-nuclear movement in New Zealand was hostile to visits from US ships because the Americans refused to confirm or deny whether their ships carried nuclear weapons.